I feel like I've tried almost every brand of polish known to humankind, but there's one more I can check off the list. I have a real-life friend (I know, I'm just as shocked myself!) who sells Jamberry, and she asked me to try their lacquer to see how it compares to other mainstream brands. I know many people in this nail community have many varying feelings toward the company, but here is nor the time or place. What does everyone look for in a polish? 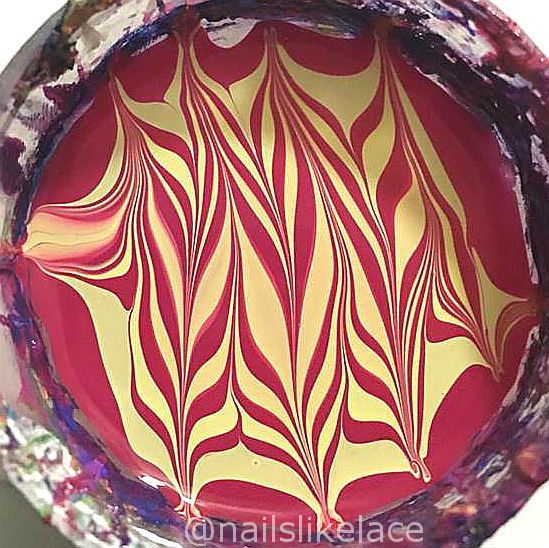 Opacity, an easy formula, wear-time, plus watermarble and stamping capabilities. I put this baby through a plethora of tests! For starters, this color is called Kiss. It is a pretty watermelon pink opaque in a single coat but was still nice and thin! I was blown away! It also dried crazy fast. Again, I was amazed! For my swatch and wear test I used my go-to base and topcoat of Dream Polish Smooth Gem and Seche Vite on top, with two coats of color. Lets see how it worked for some nail art. I grabbed a random plate and hoped since the polish has such great pigmentation, it would work well. Fortunately it did stamp clean and easy, but it loses quite a bit of opacity and only shows up over lighter colors. Still what I consider a win! 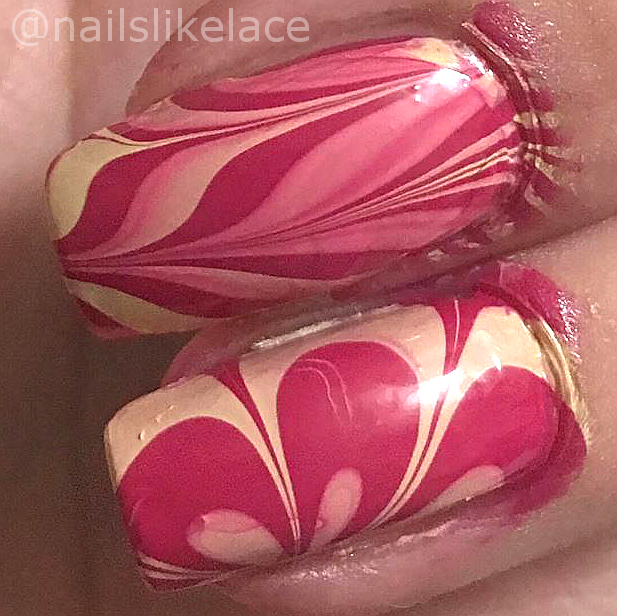 What about watermarbling? I wasn't as lucky there. I tried many polish combos with it, but settled on a brand new bottle of China Glaze Lemon Fizz because it wasn't spreading well with any others. It dried a little too quickly for marbling, and wanted to bleed quite a bit, but I was able to get a couple of decent nails anyway. I'd give this particular polish a 5 out of 10 for water marbling. Definitely not the worst thing I've ever worked with in the water, but I wouldn't recommend it to a water marbling beginner, it fought too much. As for freehand nail art, I don't have any example images, but I had no issues trying to paint thin lines with it or anything. Like I said before, it did dry fast, but no faster than some other colors I've painted with. I'm thinking it'll make for some great watermelon nails! So how about that wear test? You guys. I wore this for eight days. Eight full days. I rarely even get a mani to last that long with gel polish! Pixie Dusts have worn that long on my nails, but that's about it. It did get some scratches and dings, but hardly any tip wear visible from the top! I am thoroughly impressed with this polish! Holy cow look at how much my nail grew out in that time! Keep in mind I only tried this one polish, but based on my personal experiences with it, I fully recommend Jamberry lacquers! That intense opacity is the seller for me! I did try a few wraps, but didn't have any luck. I pulled them straight from the sheet and was unable to get all the bumps and lumps out, so I'll have to give it another shot warming them up first! Have you tried Jamberry lacquers? If so let me know what you thought of them or if there are any must-haves! This is definitely a purchase-worthy brand for me now.